Why are these both VS Clarity? And why both are bad. The same major Diamond certification lab graded both of these Diamond as VS (very slight inclusions), the lab the most highly recommended and regarded by jewellery shops. Pic 1. 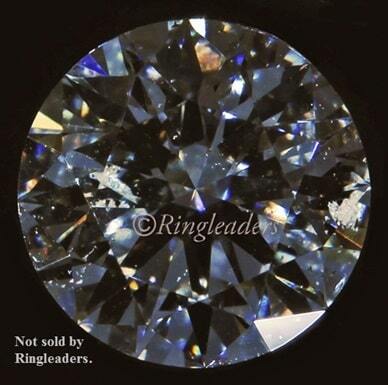 This Diamond is over graded, certified as .50ct F, VS2 round brilliant cut Diamond, but is actually .50ct F, I2 (P2), based on the certificate grading you could pay 300% more than the Diamond is actually worth. Pic 2. 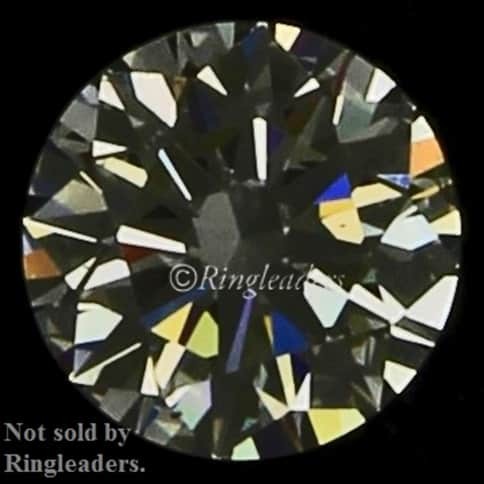 This Diamond is certified as .72ct F, VS2 round brilliant cut Diamond, the grading is correct, but Ringleaders rejected it as the inclusion could easily split it in half. This type of inclusion is not uncommon in Diamonds, but often very difficult to see even when viewed under 10x or more magnification. Often in a finished ring this inclusion will be hidden under a claw, this increases the chance of the Diamond being chipping, breaking or splitting is greatly increased. The 4C’s is no safe guard of these problems, as it looks at clarity in the wrong way. Be aware the vast majority of “professionals” have quick (often 1-3 days training) easily obtainable qualifications (Diamond grader, etc), serious qualifications usually take years. Often misleading names like master jewellers are used when everything is made in factories in Asia. Factories making most estate, antique jewellery. Your means of describing everything in this post is actually good, every one can easily be aware of it, Thanks a lot.